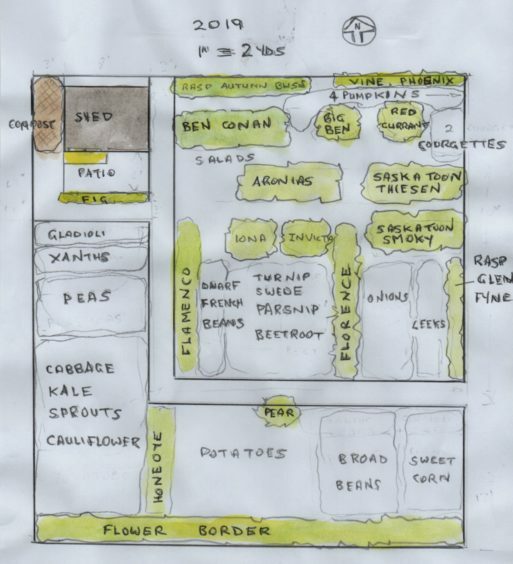 Now is a good time to look at the new allotment plan using last years plan as a template and sorting out where this year’s crops are to be grown. I checked over last years seed list a few weeks ago, then adjusted the list for 2019 and ordered my seeds online from a well-known trusted supplier. 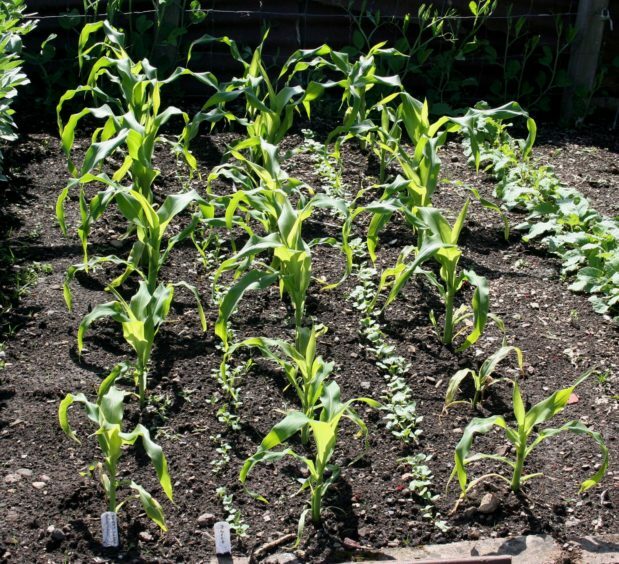 I always follow a rotation of crops over a four-year cycle to try and keep ahead of diseases such as clubroot and onion white rot as well as giving plants the best growing conditions as their needs all vary individually. I also integrate my strawberry beds into the rotation as these get replanted every three years onto fresh soil. Crops with similar needs are grouped together. Thus the brassicas, cabbage, cauliflower, sprouts and kale are grown in one block. This block gets compost dug in over winter, then limed in late February. This assists the prevention of clubroot disease which is a major problem on my allotment. Unfortunately, some salads, i.e. rocket, and radish are also prone to clubroot as well as the root crops, swedes and turnips. 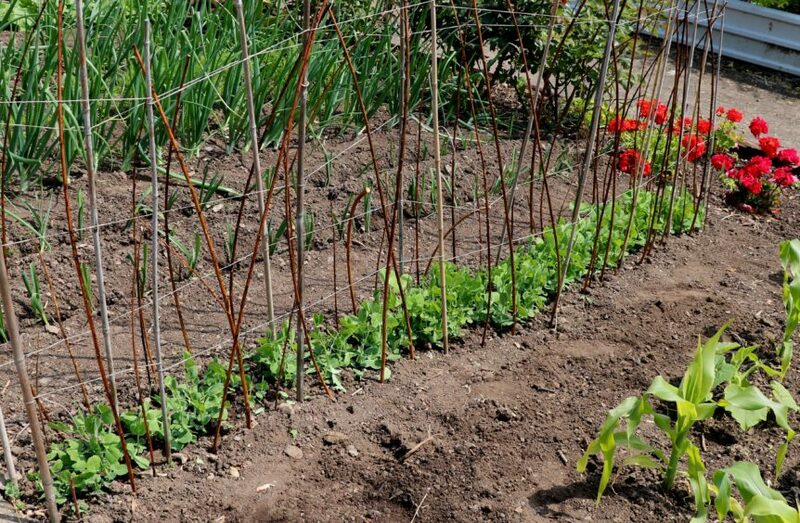 Then care must be taken with use of green manures as mustard, a great crop for green manuring, can also attract and carry over clubroot disease. 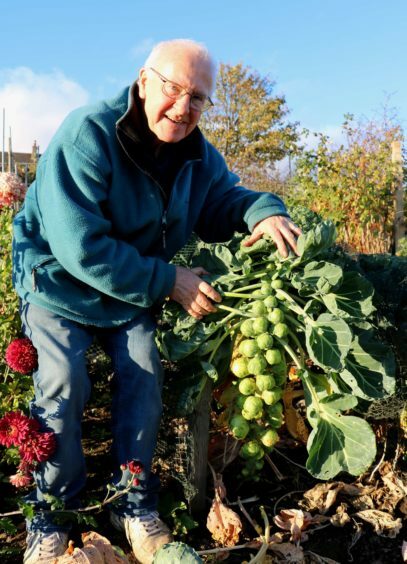 I use clubroot resistant vegetables where ever possible; intercrop some salads with widely spaced sprouts and cabbage early in the season to catch a crop before the big leafy plants take up all the room. The brassica patch becomes the heavy feeders patch the following year. These are the peas, beans, onions, leeks, sweet corn, courgettes and pumpkins. These crops are fine on land limed the previous year and are given the lion’s share of compost or manure during the winter digging. I also hold back some extra compost to add to the courgettes and pumpkin bed to improve fertility and retain moisture. The pumpkins, courgettes and sweet corn are tender plants so they don’t get planted till the end of May or early June. 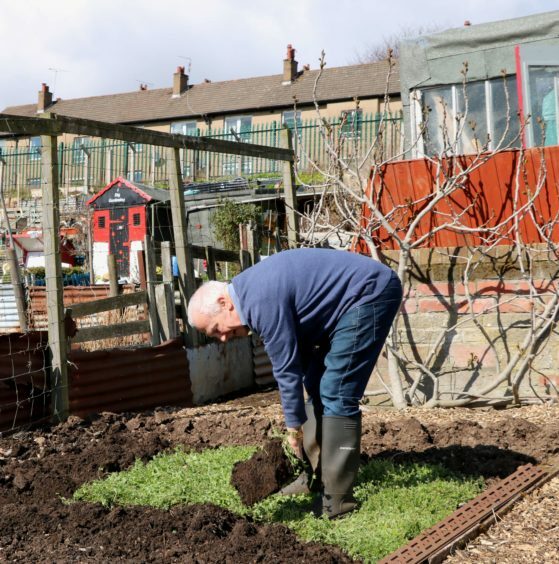 This gives us time to sow a fast growing green manure crop like clover or rye grass to be ready for digging in about three weeks ahead of planting. This area the following year becomes the root crop patch for parsnips, carrots, beetroot, Swedes and turnip. This land does not get compost during the winter digging as there is plenty of well-rotted organic matter left over from the heavy feeders, and anyway the roots are liable to forking if there is fresh compost in the soil. 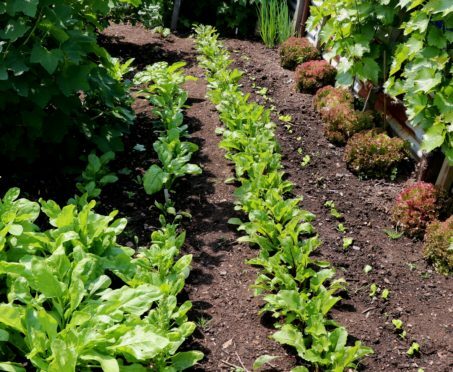 Salad crops are also fine in this patch as they are short lived and do not need a lot of space. In my rotation I add some flower crops such as dahlias, chrysanthemums and gladioli for cut flowers as well as brightening up the plot. My last rotational crop is the potatoes, which get both plenty compost and usually follow an autumn green manure crop. They do not like an alkaline soil which makes the tubers liable to scab, but should be fine on land a few years after liming for the brassica crop. I also hold back some compost to spread along the bottom of the furrow taken out when planting the seed potatoes. Strawberries are another great crop to help with the rotation. I grow an early row of Mae, Honeoye or Christine, two maincrop rows of Symphony and Florence and the autumn variety Flamenco and crop for no more than three years before digging in. This gives me extra land to bring into the rotation. New strawberry beds come from strong healthy runners from the older beds in autumn after cropping has finished, then the old plants are dug out and added to the compost heap together with any straw bedded down between the rows. Be careful with the autumn fruiting varieties as good runners are only produced on young plants. Once they are three years old they can be very reluctant to throw out new runners. Winter may now be with us as the mild weather could not last forever, but it has allowed the first spring bulbs to flower. 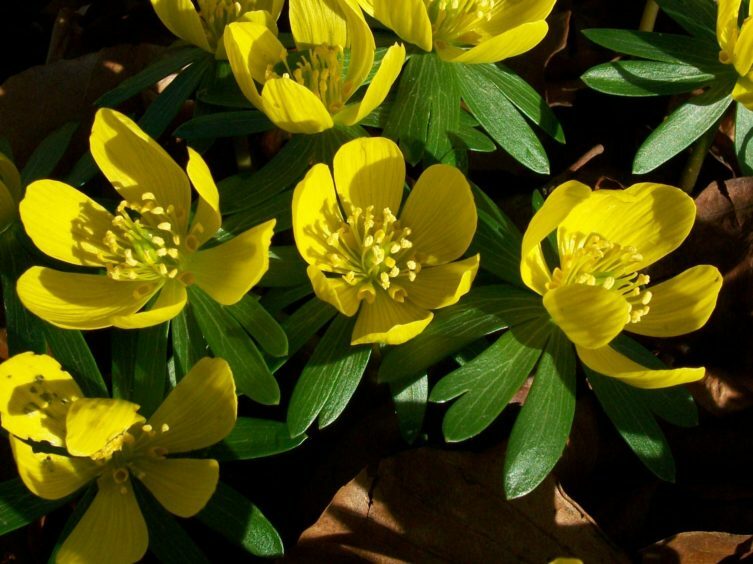 The snowdrops first appeared in December and the aconites in January and February, but enjoy them while they last as before too long the crocus will be coming out to let us know winter is coming to an end.